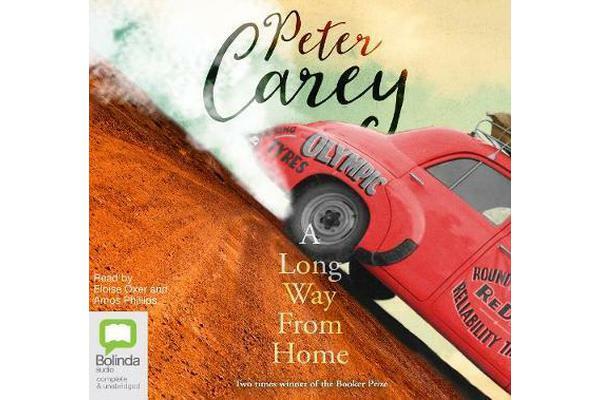 Carey’s most ambitious novel since True History of the Kelly Gang: a celebration and interrogation of the Australia of Peter’s childhood. He takes us on a wild ride around the country in 1954 by way of the famous Redex car trial, during which our protagonist, Willy Bachhuber, learns the poignant truth of his troubled past. It’s a tender and wonderfully wry portrait of Australia in the 1950s, reminiscent of Illywhacker in concerns and some characters. We’re in Bacchus Marsh in the 1950s, with car salesmen, an early aviator, and the lives of Irene Bobs and Willy Bachhuber. The striking Irene is ahead of her time, a fearless, big-hearted, independently minded woman. Her next door neighbour Willy seems to be constantly in flight from his own life. He lacks social confidence but is extremely well read, so much so that he’s a radio quiz champ. And he has a particular fondness for maps. When Irene’s husband Titch decides to enter the Redex trial, Irene goes with him as co-driver, and Willy as navigator. Fantastically fun and funny, Peter’s new novel is a major achievement.